Studying a foreign language, whether or not you become entirely fluent, is one of the smartest things anyone can do. For high school students looking toward college, foreign language credits are usually a requirement. Beyond that, learning another language also helps you learn about the countries and cultures that speak the language. If you ever travel in life, or want to work overseas or in an international business, knowing another language will give you a significant boost. And there is no reason you can’t study more than one foreign language. It’s excellent mental exercise, it’s fun and it will make your college resume even more impressive. And aren’t you preparing yourself to live and work in the 21st century? It’s a global world now. So why are students taking German? Germany is a world leader. It has the largest economy in Europe, third-largest in the world. Many multi-national companies are headquartered there, and many of those have offices and subsidiaries in the United States and in other countries. If you can speak German, you’ll be a top candidate to work for these companies. German is hot. It is the third most-studied language here in the U.S. Earlier this year, the New York Times reported that a half-million students at the elementary, secondary and college level are taking German. It’s also big with the Japanese (another culture that fully understands the value of international commerce). Believe it or not, 68% of students in Japan study German. The ability to speak German puts you in good company. Lots of it. It’s the most common language throughout Europe, with native speakers in Austria, Luxembourg, Liechtenstein, Switzerland, northern Italy, eastern France, Denmark, Belgium, the Netherlands, Poland, Russia, Romania and the Czech Republic. 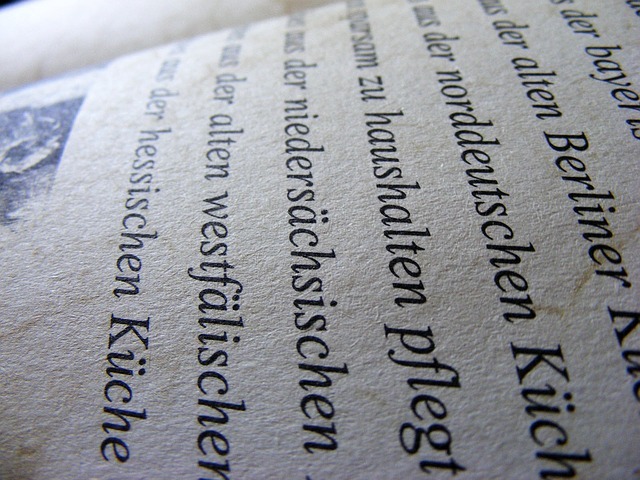 Worldwide, there 120 million native German speakers. The NY Times also quoted Eva Marquardt of the Goethe Institut as saying, “Adding German to a degree in engineering or computer technology makes an unbeatable combination.” Her non-profit organization works internationally to promote the study of German language and culture. German isn’t just the language of high-tech, it’s a foundational language in science, art and religion. Studying German in high school can give you a head start toward any number of majors. In fact, at the University of California, studying German as a “second language” is recommended for more majors than any other language. Considering a career in the hospitality industry? Germans love to travel. They get six weeks’ vacation every year and spend more tourism dollars than any other group. Many of them speak English, but if you can converse with them in their native language, they’ll be thrilled. That’s an easy decision if you are already a student at Sterling Academy, because all our courses are offered online. German is one of the five languages we offer, among dozens of interesting and valuable electives. However, any high school student can take German online at Sterling Academy, even if you’re enrolled at a traditional brick and mortar school. Most high schools don’t offer German, so students who want to learn this language have to look elsewhere. Online study is ideal, because you can do the coursework whenever it’s convenient for you. That fits easily into your fixed school schedule fits easily around your extra-curricular activities. And you can transfer the credits you earn back to your regular school. If you want to know more about studying German online at Sterling Academy, let us know. We’re always happy to talk about our course offerings and help you connect with them. We consistently produce articles meant to inform and educate those interested in online schooling. Subscribe to be the first to know when we publish new content.